Book Talk Tuesday: Reading, and Science and Magic! Oh my! 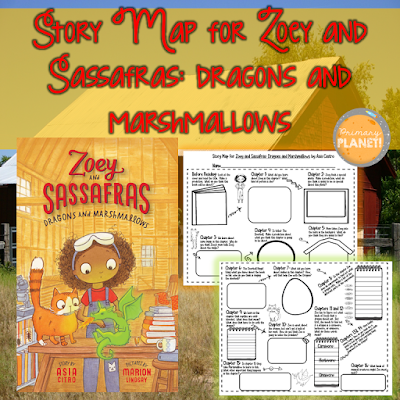 Zoey and Sassafras: Dragons and Marshmallows. | Primary Planet! Book Talk Tuesday: Reading, and Science and Magic! Oh my! Zoey and Sassafras: Dragons and Marshmallows. Hello again! Welcome to another Book Talk Tuesday! 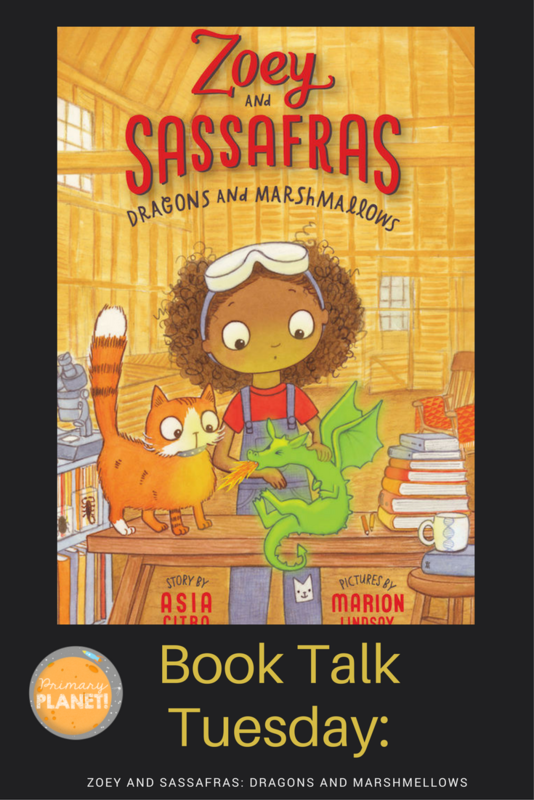 Today I am going to be talking about a fun new book called: Zoey and Sassafras: Dragons and Marshmallows written by Asia Citro, illustrated by Marion Lindsey! Wow! Is this a fun book! It has everything: Magic, Science, adventure, experiments, and more! This is an adorable story of a little girl who discovers that her mom has been helping magical creatures since she was little. Mom needs to go on a business trip and leaves Zoey in charge to help any creatures that may show up needing help! With the help of her "thinking googles", her cat Sassafras, some science experiments, and some research, Zoey helps nurse a sick dragon back to health! This book is a perfect jump start for a unit about reptiles, science experiments (it explains the scientific method in context), or carnivores, herbivores, and omnivores. Zoey and Sassafras would make a great read aloud, or for a book club for your higher 2nd grade readers or your third grade graders. Thanks so much for stopping by! I hope to see you next week!